How to upload DRM-protected iTunes videos to YouTube? All too often, M4V videos can only be streambable on Apple devices due to DRM protection, making it very unfriendly if users want to play that on other devices. This article will be dedicated to finding a solution to settle this and converting M4V to VOB for burning the video on a DVD for playback on DVD player. To begin with, let’s spare some time warming up the definition of VOB and its application. VOB stands for Video Object. Files that contain the .vob extension are container files. A container file is a “shell” of a file that is able to hold a variety of other files within it. This means that the .vob file can hold multiple files that are merged into a single file location on a user’s computer. The .vob file format is most commonly used for DVD media. 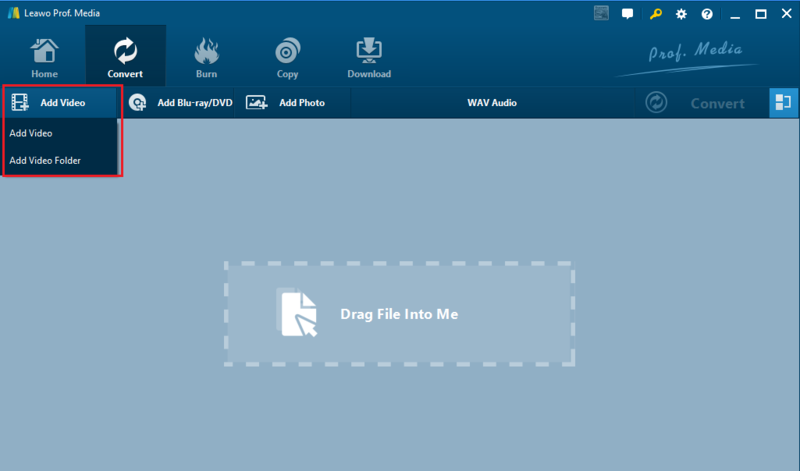 A VOB file can contain the audio and video data for the contents of a DVD as well as the subtitle, menu and DVD content information. This file data is then multiplexed together into a streaming format that allows the user to watch the media on his or her computer. Knowing about this, we can continue to see how we convert M4V to VOB using the professional media programs, Leawo Prof.DRM and Leawo Video Converter. 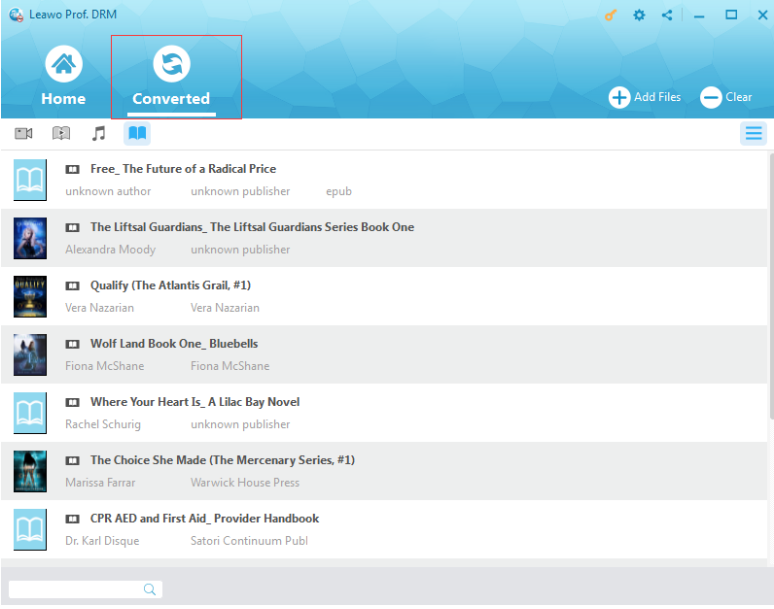 Leawo Prof. DRM, is a professionally used program suite benefiting users in DRM removal from iTunes media and other audiobooks. It provides a one-stop solution to remove DRM from DRM-encryption files and then automatically convert DRM-free files to MP4/MP3 for streaming them on general devices and systems. 1:1 quality is assured after DRM removal, which allows users to enjoy the original file losslessly. Besides that, the efficiency is extremely impressive with the most advanced technology used. It is said 50X speed is offered and users are able to process multiple tasks at one go. Follow this guide on removing DRM from M4V in five simple steps. Click the button below to install the program. Step 2: Add source M4V video files. Click Add Files to import the source M4V video files. Step 3: Set a directory to save the DRM-free file. Specify a directory from the Output box to save the DRM-free files after DRM removal. Step 5: Check for the DRM-free video files. Open the Converted tab and you will see the converted MP4 files without DRM protection, which can be played on devices or converted to other formats for enjoyment. Now since you need to convert the DRM-free M4V video files to VOB for burning that on a DVD, Leawo Video Converter is ready to help. This program offers professional services and support on file conversion, covering more than 180 formats and 12 most commonly used language interfaces. In addition, 6X speed and 1:1 quality reverse guarantee the user experience no matter for file conversion and enjoyment. 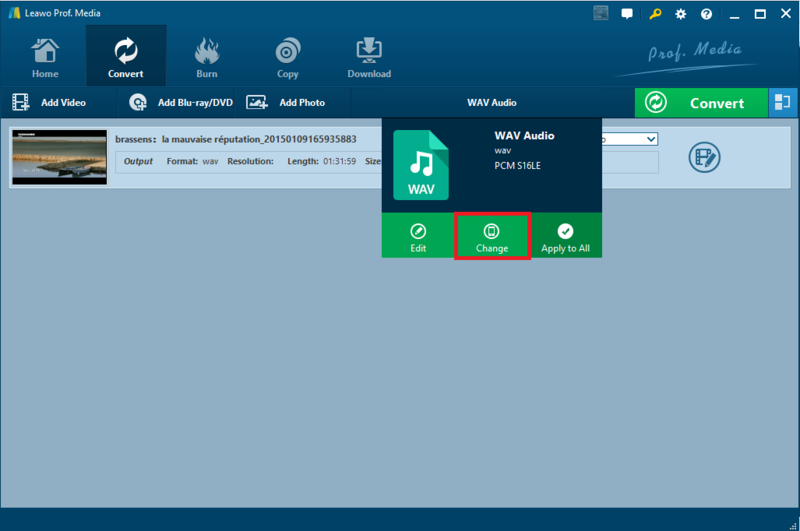 Let’s take a close look at the specific steps in converting M4V to VOB with the help of Leawo Video Converter. Click the button below to install this program. Step 2: Add the DRM-free M4V video files here. Click Add Video from the toolbar to import the previously converted DRM-free M4V video files. Step 3: Change the output format to VOB. Click Change from the format drop-down list and select VOB from the Profile panel. Step 4: Edit the video. Click the editing icon on the file to customize the file in terms of length, size, effect, and so on. Don’t forget to click on OK to validate your settings to the file. Step 5: Specify a directory to save the output file. Click Convert from the toolbar and you need to set a directory from the pop-up windows to save the converted file. After that, click the round button Convert below to start converting M4V to VOB. Step 6: Trace the conversion progress. Trace the progress through the green progress bar when this process is ongoing. When 100% is done, you will have the VOB files ready for burning them to DVD. 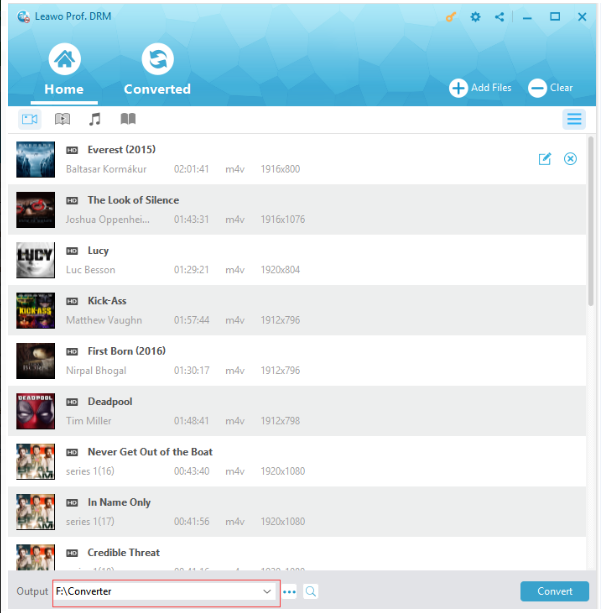 It is quite common to change M4V to VOB and with the help of professional media process tool like Leawo Prof.DRM and Leawo Video Converter, the task is easy to handle well. The essence to convert M4V to VOB is stripping DRM from M4V videos and then convert the DRM-free file to VOB. You will still get the lossless file after file conversion. I hope you will find the above guide helpful to you. If you want to removal other types of DRM , Leawo Prof. DRM can also help you . Refer to this guide share kindle books on iPad .